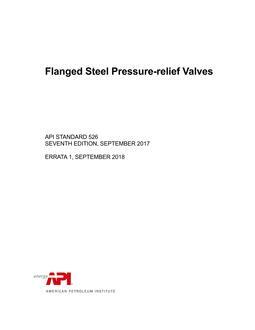 This standard has been developed from the accumulated knowledge and experience of qualified engineers of the oil, petroleum, petrochemical, chemical, and general bulk liquid storage industry. 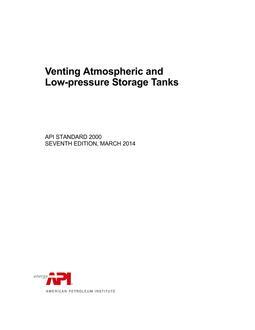 Engineering studies of a particular tank can indicate that the appropriate venting capacity for the tank is not the venting capacity estimated in accordance with this standard. The many variables associated with tank-venting requirements make it impractical to set forth definite, simple rules that are applicable to all locations and conditions. 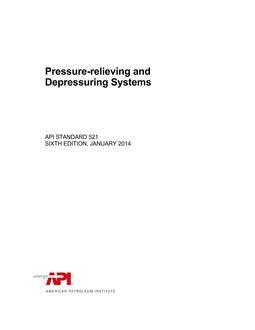 This standard covers the normal and emergency vapor venting requirements for aboveground liquid petroleum or petroleum products storage tanks and aboveground and underground refrigerated storage tanks designed for operation at pressures from full vacuum through 103.4 kPa (ga) (15 psig). 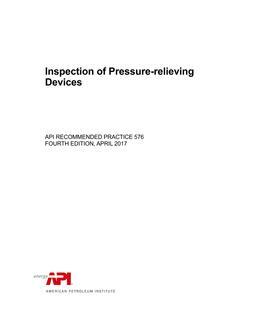 Discussed in this standard are the causes of overpressure and vacuum; determination of venting requirements; means of venting; selection and installation of venting devices; and testing and marking of relief devices. This standard is intended for tanks containing petroleum and petroleum products, but it can also be applied to tanks containing other liquids; however, it is necessary to use sound engineering analysis and judgment whenever this standard is applied to other liquids. This standard does not apply to external floating-roof tanks.